Enjoy the magical and delicious fruit arrangement that is truly the delight for every food lover. 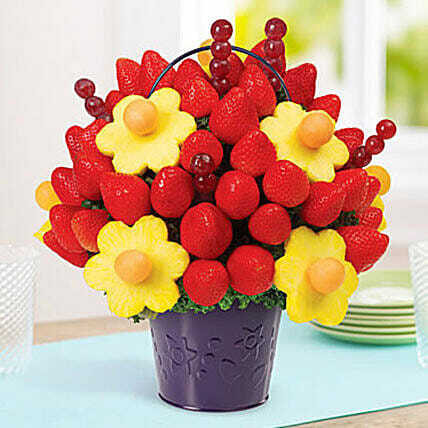 This engaging fruit combination consists of fresh strawberries, pineapple daisies and grapes that can leave an indelible imprint on your taste buds. The basket may vary.